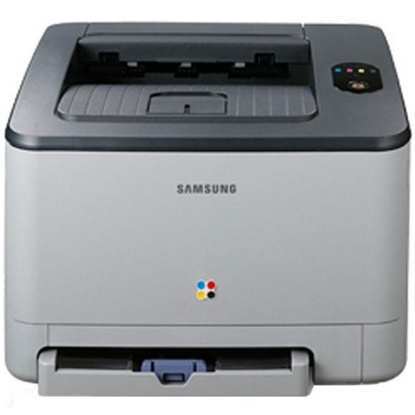 The Samsung CLP-351 is designed for personal printing, providing enough flexibility to enable a single user to print sharp color and monochrome projects. Output speeds are decent when looking at the CLP-351's cost and comparing it to models in its price range, printing up to 17 pages per minute for monochrome documents and a lower rate of 4 pages per minute for color jobs. While this unit's adequate speeds and simple but easy-to-use design aren't enough to make it stand out among other personal laser printers, features such as long-lasting Samsung CLP-351 printer toner and its lab-quality output will. Despite the fact that it doesn't bundle in multifunction capabilities such as scanning and copying, the CLP-351 is rather bulky with a size of 15x12x9 inches and weight of nearly 25 pounds. However, users should still be able to use the unit for desktop printing alongside their computer. Users will be able to connect the two devices via the CLP-351's rear USB port, but the necessary cable isn't provided and must be purchased separately. Incorporating a built-in memory of 32 MB and a small paper input that can store only 150 pages of plain paper at one time, the CLP-351 will be able to support low volume use. The single input tray can support a few different sizes of media, including a minimum 4x6-inch photo paper and a maximum size of 8.5x14 inches. The unit can print projects like text, graphics and photos with satisfactory detail and a crisp maximum resolution of 2400x600 dpi using black and color toners. 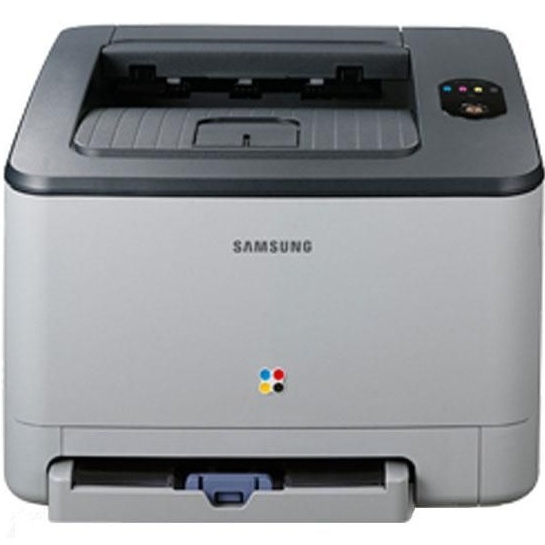 The machine comes with starter Samsung CLP-351 toner cartridges that can yield up to 1,000 pages for each color supply and 1,500 pages for the black supply. Those anticipating more frequent monochrome printing have the option to purchase high-capacity Samsung CLP-351 toner cartridges that can last up to 3,000 pages each. Much of the CLP-351's suite of features gear it toward handling the monochrome and color printing jobs of one person. Considering its moderate printing speeds and optional high-capacity black supplies, this color laser printer will be able to support frequent daily printing needs without the running costs being too high.